The umbrella of diversity includes several different types as seen in our previous Edublog posts on biodiversity and genetic diversity. ACER researchers are considering these different types of diversity in their investigations of ecosystem resilience (ie. resistance) in response to disturbance. This week we explore functional diversity. 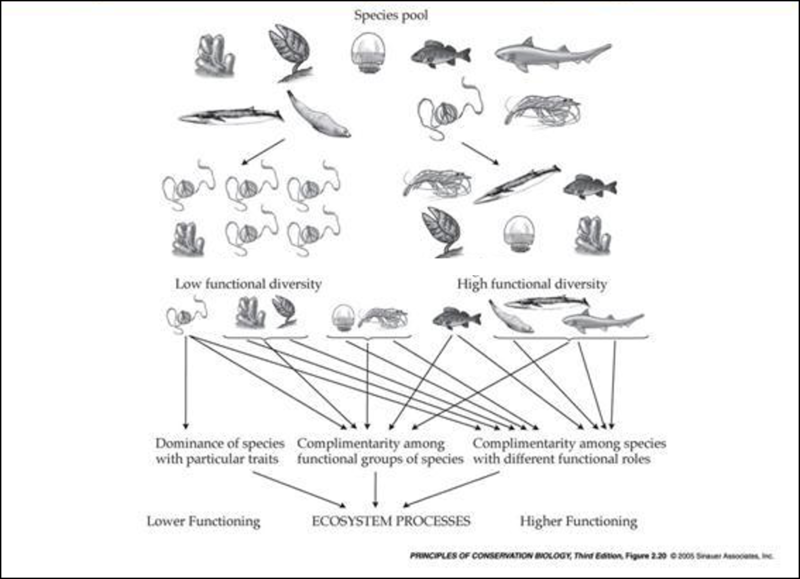 By definition, functional diversity refers to the variety of ways that organisms function or make their living in their environment. But what is meant by function? In this context, function refers to how organisms obtain food, grow, move about, reproduce, and interact with others. For example, great white sharks and bluefin tuna are both apex predators, that is they are at the top of the food web/chain. With regard to feeding, they function similarly. 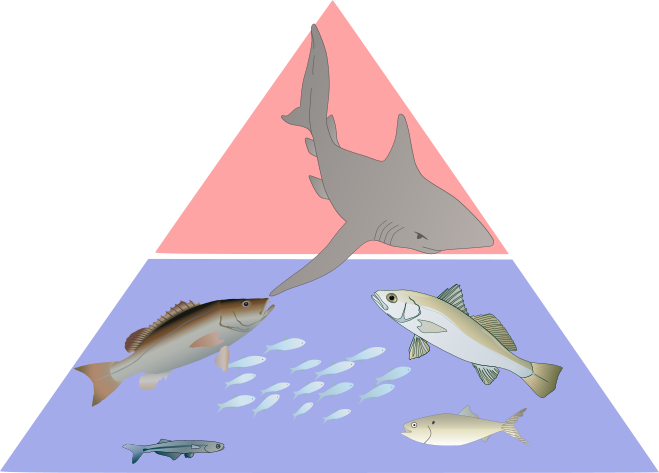 An ecosystem that has both species would be more functionally diverse than one that has only tuna or only sharks. Functional diversity is also used to refer to the presence or absence of specific functional groups. A functional group is a group of species that perform the same role for example, feeding the same way in the ecosystem. Returning to our shark and tuna example, both organisms eat fish, known as being piscivorous (fish eating). In contrast, their prey, being found lower in the food web, can be planktivorous (fish that eat plankton). An ecosystem that includes both piscivorous and planktivorous fish would have greater functional diversity than one that would only have one or the other. As another example, different species in the taxonomic group (class) of segmented worms known as polychaetes show several different feeding strategies including suspension feeding, deposit feeding, predation, and species that are scavengers. Some studies suggest that ecosystems with greater functional diversity are more resilient than ones with lower functional diversity. Species that serve the same functional role within a functional group are considered functionally redundant. If one species within a functional group is affected by a natural or anthropogenic disturbance, another species would still carry out that role in the ecosystem. Using stable isotope analysis, ACER scientists are investigating consumers in coastal Gulf of Mexico ecosystems, collecting tissue samples from different shark species to establish each species’ position in the food web (trophic level). If multiple species are feeding at the same level in the food web, a loss of one species will not result in significant alterations to the food web, that is the ecosystem is resilient. Conversely, if there is a single species feeding at this trophic level, the loss of that species will have significant effects on the food web. Similarly, an ecosystem with multiple functional groups that impact nitrogen cycling would not be significantly altered if one functional group was eliminated by a disturbance such as an oil spill. However, the ecosystem properties in which a single functional group determined rates of nitrogen cycling would be significantly altered if that group was eliminated by the disturbance. Learn more about ACER’s investigations of functional diversity by checking out ACER’s Research pages here.